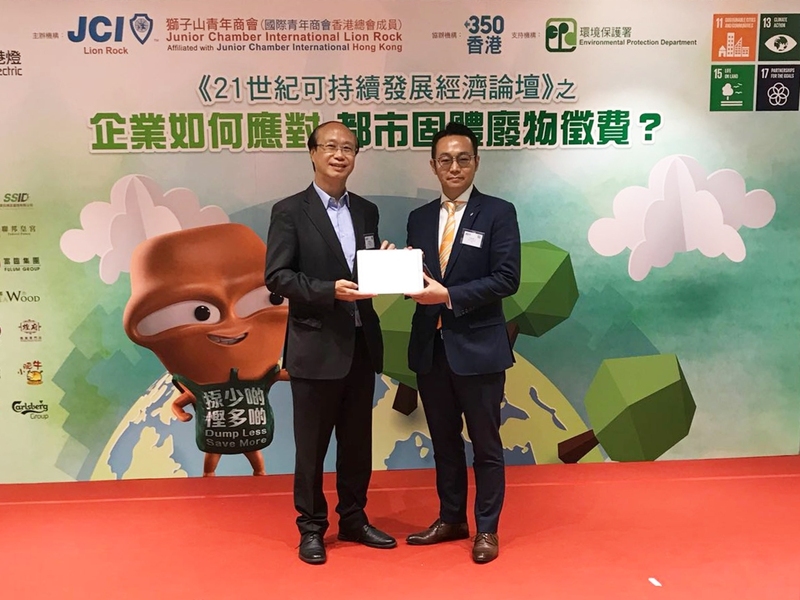 At the “21st Century Corporate Sustainable Development Economic Forum” organized by JCI Lion Rock on 19 April, CCA CEO Ir Albert Lai was invited to speak on the theme of the forum – “How should corporations respond to municipal solid waste (MSW) charging”. Mr Ringo Mak, Co-founder of 350HK and Advisor of CarbonCare InnoLab, acted as the moderator for this forum, in which Mr Lawrence Cheung, EPD Acting Assistant Director; Mr Henry Ho, CPCS Assistant Environmental and Hygiene Manager and Mr Harold Yip, SSID Executive Director also shared their experience on waste reduction and recycling management, as well as expressed their views on the Government’s MSW Charging Scheme. Speaking on waste management, Ir Albert Lai emphasized the necessity for corporations to comply with the Charging Scheme soon to be implemented by the Government and its importance to corporate ESG reporting. 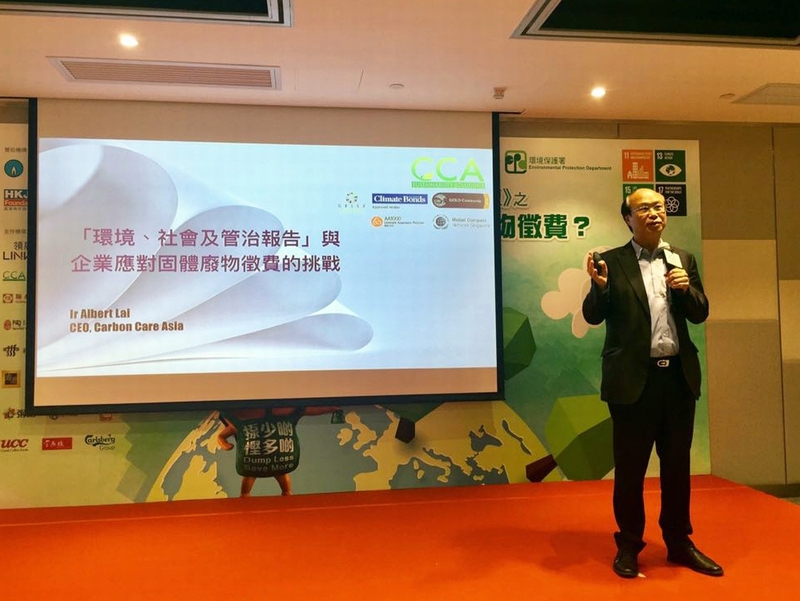 Ir Lai also told the attendees about the results of an ECF-funded project recent accomplished by CarbonCare InnoLab on “community waste reduction”. He pointed out the limitations of the MSW Charging Scheme and the possible challenges it may be facing when implemented. To conclude, Ir Lai urged the people of Hong Kong to take note of the United Nations’ Sustainable Development Goals. He believed that waste reduction would give people a good start to change from the old model of business operation and lifestyle through practical action, which would help make Hong Kong a more sustainable city. CCA CEO Ir Albert Lai shared with the audience his views and suggestions on the MSW Charging Scheme, and analyzed its impact on corporate ESG reporting. 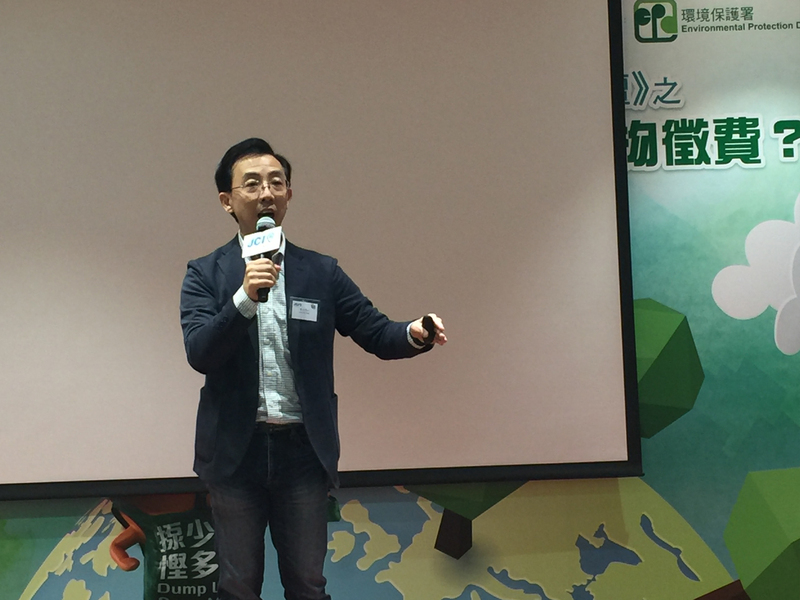 Co-founder of 350HK and Advisor of CarbonCare InnoLab Mr Ringo Mak moderated the forum. 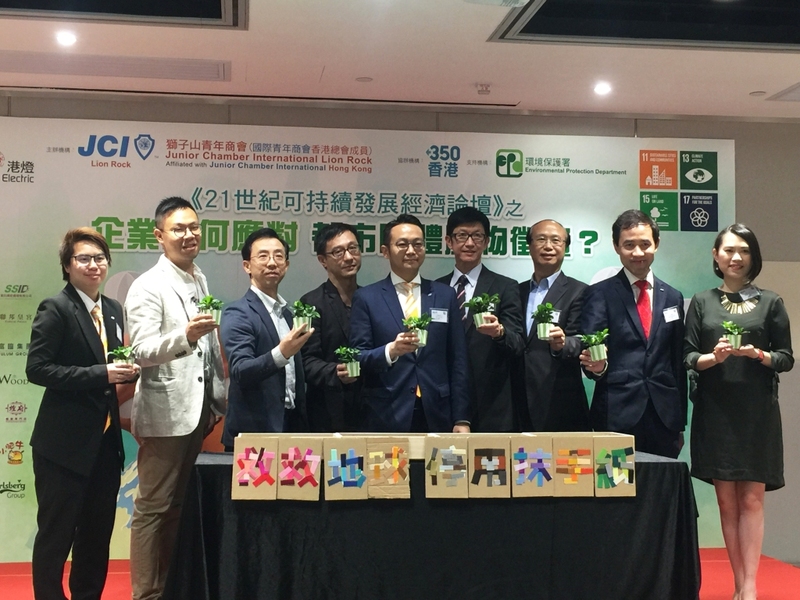 Mr Ringo Mak (1st left), Co-founder of 350HK and Advisor of CarbonCare InnoLab moderated the panel discussion. 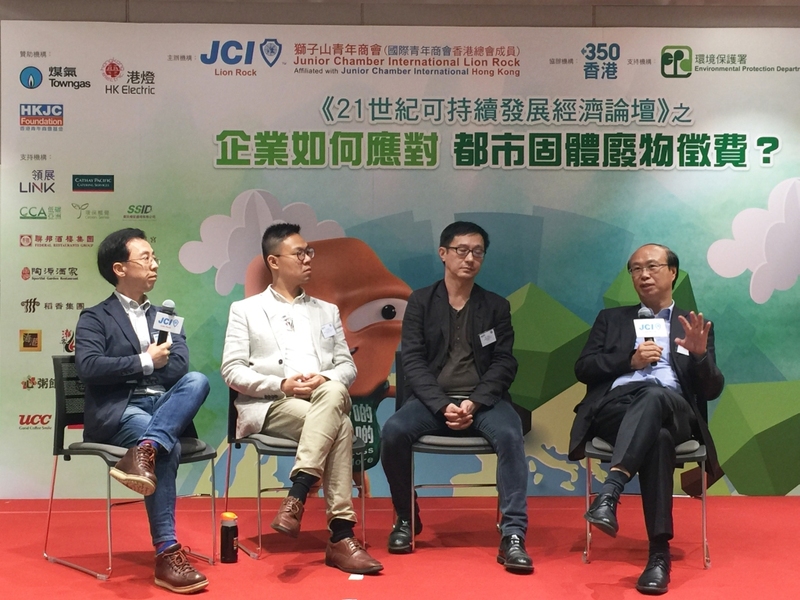 Panelists included (from left): CPCS Assistant Environmental and Hygiene Manager Mr Henry Ho, SSID Executive Director Mr Harold Yip and CCA CEO Ir Albert Lai.